If you follow me on Instagram then you know I’m already dreaming up decor ideas for the new home. It’s seems so far away ( 7 months) but that doesn’t keep me coming up with some concepts for each space! 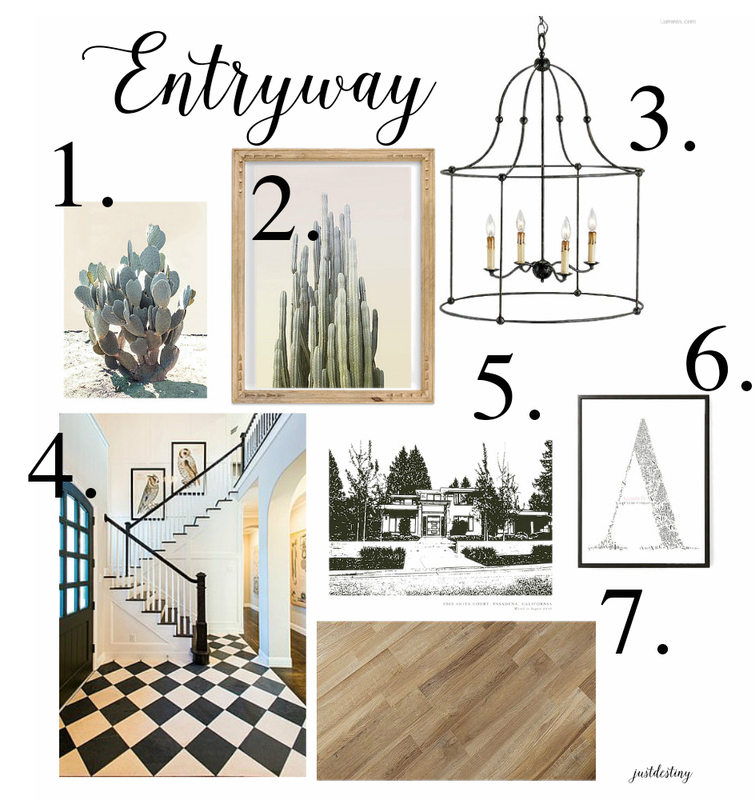 Today I’m sharing entryway decor ideas! 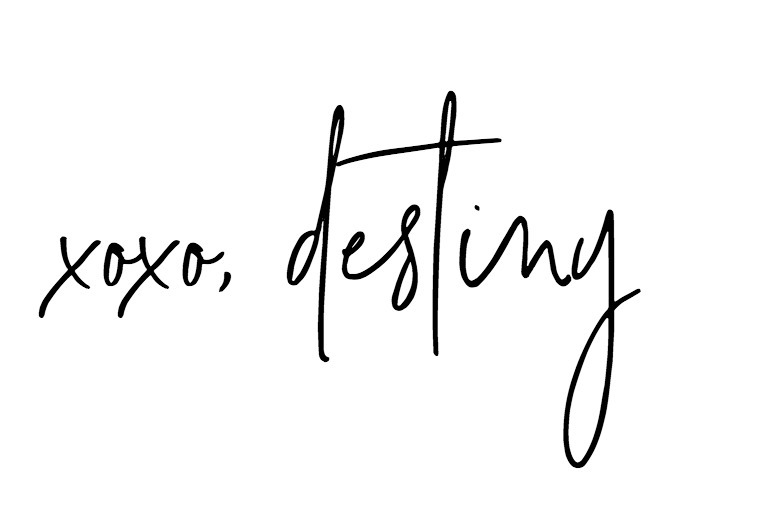 These prints from Minted are the perfect jumping off point for the feel I want for the house. A bit of character with the french farmhouse frames and the muted colors of the desert oasis. The perfect nod to my home state! I already have the first print in my home but I would love to blow them up and hang them in the stairway. For the entry way light I wanted it to also set the tone for the house. I knew a black lantern would be the perfect fit. I was going to use the bolton lantern from Pottery Barn that I had in my kitchen, but I didn’t like the shadows that it casted on the ceiling. So when when I came across this one from Currey and Company, I knew the open/zero glass lantern would be perfect. It illuminates beautifully! 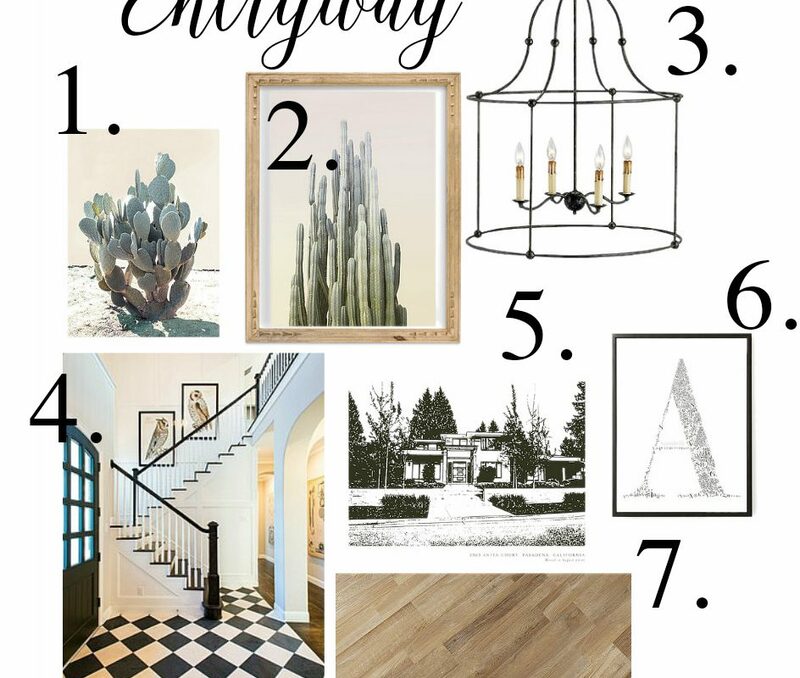 Like I said on Instagram, this was the inspiration for our entryway/foyer because of the configuration. I opted for white stair railings because I knew I wanted the black top look! No black and white floors though. In the inspiration picture you see black and white floors. Our floors will look more like the floors above. Wide plank, porcelain tile is what we are crossing our fingers for along with wood stairs in a coordinating color. But that all depends on price:0) I wanted the stairs tiled but our builder suggested that we didn’t. Now that I think about it, that makes sense! So instead we are getting real wood and eventually will get a runner so my husband can sleep at night. He’s worried about the kids falling:0) I’m more worried about how pretty it is…haha! So there’s the plan friends! Now it’s time to price things out and get the BEST deal! !